Korean veteran Lee Hyun Il won his first title in over two years as he triumphed at the Macau Open 2018 yesterday. 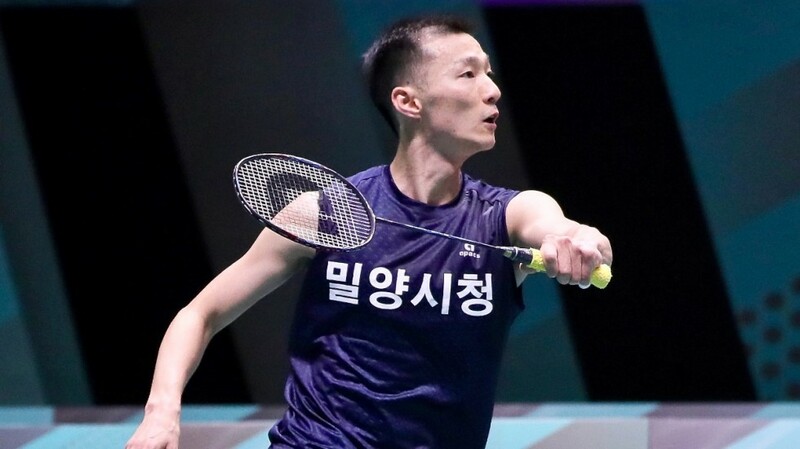 Lee (featured image), whose last title was the Yonex US Open in July 2016, proved too crafty for young Chinese Zhou Zeqi in the Men’s Singles final, 21-9 21-19. On the way to the final, Lee beat China’s Lu Guangzhou and Thailand’s Sittikom Thammasin, while qualifier Zhou upset top seed Ng Ka Long (Hong Kong) in the quarterfinals and Chinese Taipei’s Lu Chia Hung in the semifinals. Canada’s Michelle Li captured her first HSBC BWF World Tour title of the year after a pitched battle with China’s Han Yue, 23-25 21-17 21-15. The Canadian had a tough path to the final – she needed three games to fend off Thailand’s Supanida Katethong in the second round, while in the quarter-finals, she took on former No.1 Li Xuerui (China). After a 21-15 21-18 result, Michelle Li faced Japan’s Ayumi Mine, and she came through the semifinal, 21-15 8-21 21-13. Doubles stars Lee Yong Dae and Kim Gi Jung won their second title this year. Lee and Kim, who won the Barcelona Spain Masters in August, added the World Tour Super 300 title to their collection after a riveting battle with compatriots Ko Sung Hyun/Shin Baek Cheol. Ko and Shin held the advantage at the death, keeping a lead until 18-16 after which Lee and Kim overhauled them with five of the last six points: 17-21 21-13 21-19. 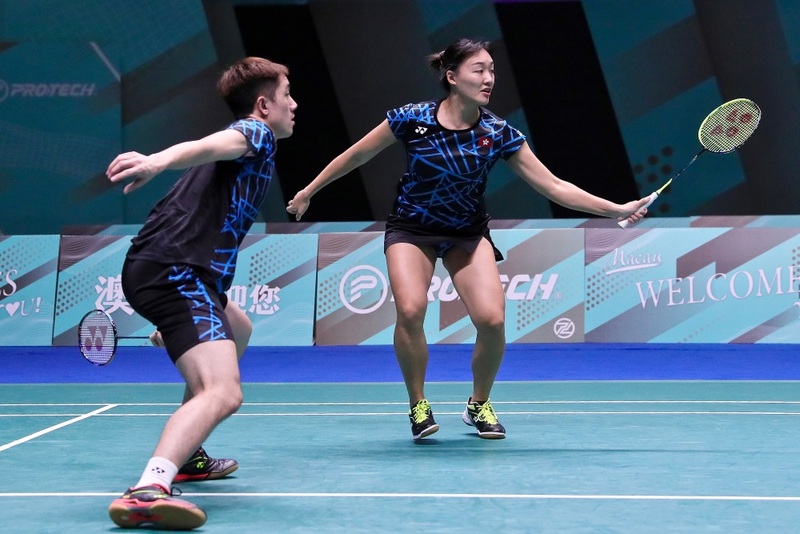 Lee and Kim had earlier upset top seeds Chen Hung Ling/Wang Chi-Lin (Chinese Taipei) in the quarterfinals and Lu Ching Yao/Yang Po Han in a three-game semi-final thriller, 18-21 21-8 25-23. 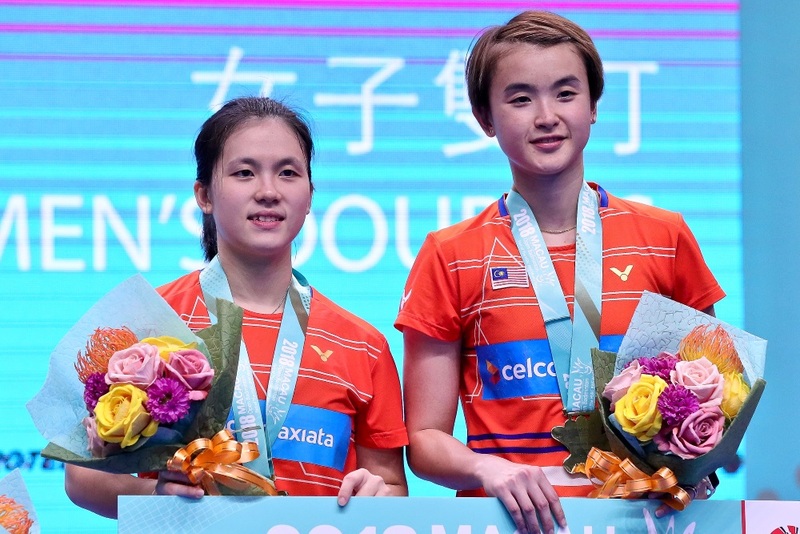 In Women’s Doubles, Malaysia’s Vivian Hoo – who has played with five different partners this season – and Yap Cheng Wen stopped Japan’s Misato Aratama and Akane Watanabe, 21-15 22-20. Top seeds Ayako Sakuramoto/Yukiko Takahata were upset by compatriots Aratama/Watanabe in the quarterfinals, 21-13 21-14. Hong Kong’s Tang Chun Man/Tse Ying Suet captured the Mixed Doubles crown outplaying compatriots Lee Chun Hei/Chau Hoi Wah 21-14 21-15.